"How can you overload your senses in a matter of seconds, while free falling at 140mph? Skydiving! It is a must-do adrenalin activity in New Zealand. Apart from being a crazy experience that you’ll never forget, what makes skydiving in New Zealand extra special is the national parks, lakes, mountains and beaches that you will be hurtling towards. 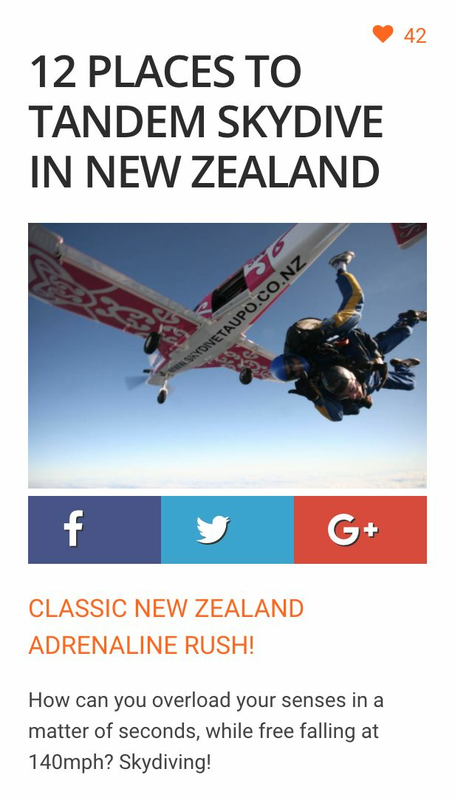 Skydiving is a fine way to see New Zealand."